Angelica Panganiban shed tears when she attended the May 15 premiere of her movie with Piolo Pascual titled Every Breath You Take. Last Monday, May 14, Derek Ramsay confirmed on his Twitter account that his 6-year relationship with Angelica has already ended. Can this be the reason for Angelica’s tears that night? Dubbed as a “comedy-romance,” the movie Every Breath You Take grossed P10 million when it opened in cinemas nationwide yesterday, May 16. This is according to the film’s producer, Star Cinema, the production arm of ABS-CBN. Directed by Mae Cruz, the movie is Graded B by the Cinema Evaluation Board and rated PG-13 by the Movie and Television Review and Classification Board. Last May 17, Kris Aquino announced that her next movie will be with Piolo. The host of the Kapamilya morning show Kris TV revealed that Chito Roño will be the director of their movie. 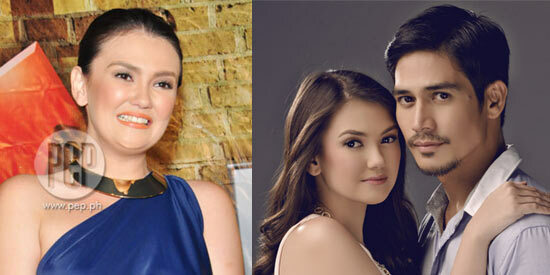 Meanwhile, Angelica is slated to star in the movie tentatively titled One More Try. She will play the wife of Dingdong Dantes and their co-stars include Zanjoe Marudo and Angel Locsin. Angelica went to Vietnam recently to shoot scenes with John Lloyd Cruz. They will be part of Star Magic’s upcoming movie to mark its 20th anniversary.